Get the best deal on a new or pre-owned used longarm at AQ! Here at AQ we are ready and waiting to serve you. Call us to talk about saving even more with Section 179. You have an new opportunity to have that DREAM business with your dream equipment. ​Take advantage of the savings this year! 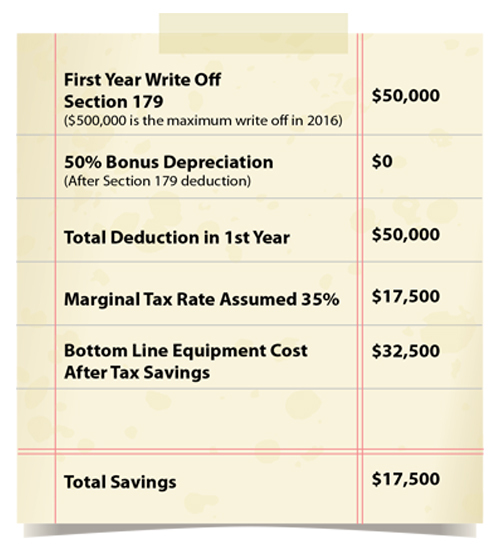 SECTION 179 TAX BREAK SAVINGS. ​Are you in need of new equipment for your existing business? Is your machine worrying you and you are afraid it is going to "check out" on you at one of the busiest times of the year? Are you thinking of starting a new quilting business and wondering how you are going to get into a quality machine that will serve you for years to come with little or no maintenance? A tax thing that can allow for up to 35% discounts on equipment sales?Seems a little far fetched, right? But it's NOT! It's called the Section 179 Tax deduction and it allows for big depreciation deductions related to the commercial equipment purchases of your customers. While 179 has been around a while, it's back and bigger than ever. And you can grow sales on everything from heat presses to long arms. Posted on September 10, 2016 by RedThread. For the last several years, our beloved politicians have made the decision to limit the deduction potential of your equipment purchases. But after almost eight years of sluggish recovery and once in a generation slowness for capital investing, the light bulb finally came on in December of last year and you can acquire new commercial equipment for a large discount if you take advantage of this new legislation. Late last year, Congress brought back the strength of the Section 179 Tax Deduction for businesses. Under the “Protecting Americans from Tax Hikes Act of 2015,” the Section 179 limit is expanded to $500,000 with additional benefits of bonus depreciation for amounts over $500,000. The new law will make this a permanent change and that is really big news! But 73% of small business owners still haven’t gotten the word. In a recent survey more than 7 out of 10 small business owners didn’t understand the financial impact on the affordability of commercial equipment. Well, let’s fix that. The Section 179 deduction often allows small businesses (subject to specific limitations) to deduct upfront, rather than depreciate over a number of years, the cost of equipment such as computers, vehicles, manufacturing equipment, farm machinery, office furniture, etc. Combined with the benefits of bonus depreciation, the incentive to acquire equipment and stay on the cutting edge of technology is significant. That’s a savings of up to 35% (depending on your tax bracket and specific situation)!! Each year these assets need to be purchased and put into service by Dec. 31 to qualify for taking the deduction in that tax year. Please also note that businesses exceeding a total of $2 million of purchases in qualifying equipment will have the Section 179 deduction phase out dollar-for-dollar and completely eliminated above $2.5 million. Additionally, under this new law, the Section 179 cap will be indexed to inflation in $10,000 increments in future years. 50% Bonus Depreciation will also apparently be extended under this legislation through 2019, and will be phased down to 40% in 2018 and 30% in 2019. Start planning now! By working closely with your tax advisor and an experienced equipment financier, you might be able to put more or better revenue producing equipment in-service. You can stop running equipment “until the wheels fall off”. You can bid on that new project more effectively. You can put more revenue producing equipment in-service. A little planning as we approach the 4Q can position your business to maximize this tax deduction and your opportunities for growth. Just another way that we make quilting easy! Do you have questions regarding Section 179? If so, we will have a qualified person get back to you and answer all of your questions.